Is this hexagonal puzzler a welcome addition to the Art Style series? 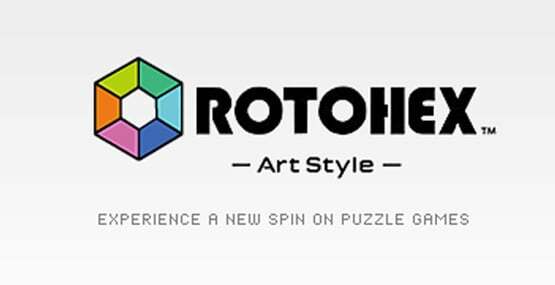 Use colored triangular panels to create a vibrant mosaic of stained glass in Art Style: Rotohex. 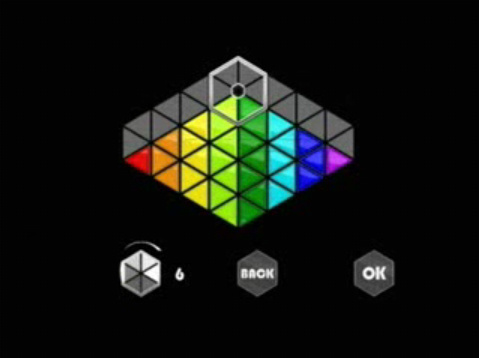 As triangles fall from the top of the screen, rotate them to group six panels of the same color and create a matching hexagon, or HEX. 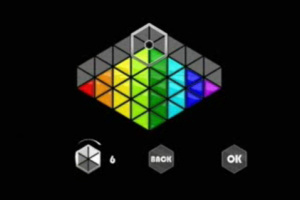 Once the HEX has been formed, it will disappear, allowing the existing panels to shift and more panels to fill the playing field. A clear-cut goal and two different styles of intuitive controls allow you to focus solely on the game play-which is vital, as the playing field will be full of panels before you know it. 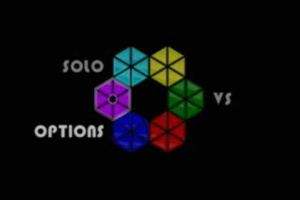 With multiple modes (unlock more as you progress further in SOLO mode), special item panels at your disposal, and the ability to play cooperatively or competitively with a friend, there will always be another HEX to create. Oh boy! This was the one other bitGen game I was looking to get. Sounds like there's some maths and strategy involved. You know what, I don't care! Just release Orbient over here! Ah yes Dialhex. 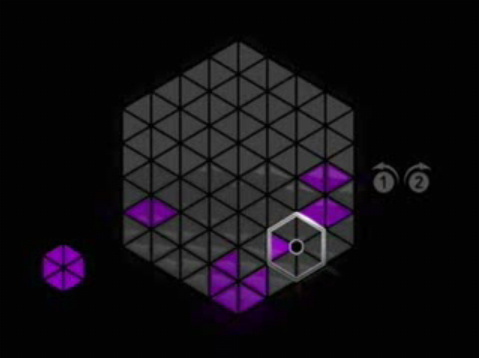 The concept of the game is great and while it is a block falling puzzle game it does it in a really unique way. My problem though was a severe lack of modes. 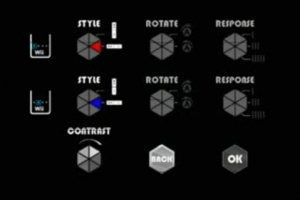 I'm hoping that was fixed and they don't ruin it with rotating the Wii remote controls... the offical site for Dialhex gives you a good idea of what to expect from this Wiiware game. Games that use increments of 60 angles (triangles, hexagons) have a certain charm that most square games (90 angles) do no possess. 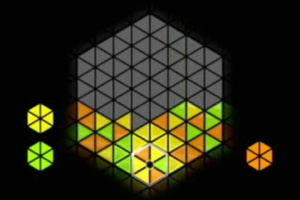 Could it be that honeybees use hexagons to build there domiciles instead of squares like humans do? Co-op and competitive play? Sign me up twice over for this game! 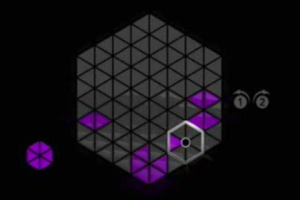 One thing I do wish Orbient and Cubello featured was at least one two-player mode, so it's great to see Rotohex is getting not just one but two dual-play modes. Can't wait to download this game later today. Dialhex for the GBA was great, so hopefully this version is at least as good as the GBA one =). 107 blocks. That's what I saw on the WiiShop. Is it just me, or is this game HARD? I can't wait to get this tonight. Gonna go and grab this game right now and play it too! It's got two player for double the fun...I wonder if in IR mode it is feasable to have one person dual wield remotes like in World of Goo (i'm told it is amazing if you can get the hang of it). I also like how they give us IR as an option but not throw it at us. Apart from that it still looks a bit limp in options. Damn it! when the Hell are we Brits going to get the Art Style games! I really want Cubello and Orbitus! That's the first time I have to agree with a lemon. The music in this game is awesome. I remember this. I thought it sounded familar when I read the description again today. Its HexCite from the Game Boy Color isn't it? Or something very similar. 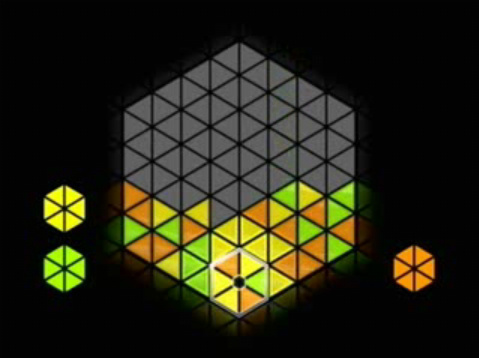 @Bass X0: HexCite (another one of my favorite puzzle games) is different from this game. 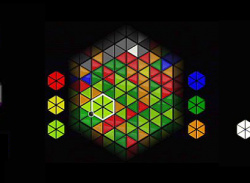 In HexCite you would place various shaped pieces into the play grid, while in Roxohex, the triangles fall from the top of the screen. I was about to get Cubello, but I decided to go ahead and get this instead because it has a two-player mode. I like the way the sides overlap in the two-player game. 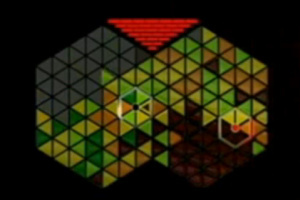 You can both grab the shapes in the center, and sending a cascade of "garbage triangles" over to the other player can kind of backfire if there's a sharp incline. As in Orbient, the music changes as you progress, and I think that adds a lot to both games. 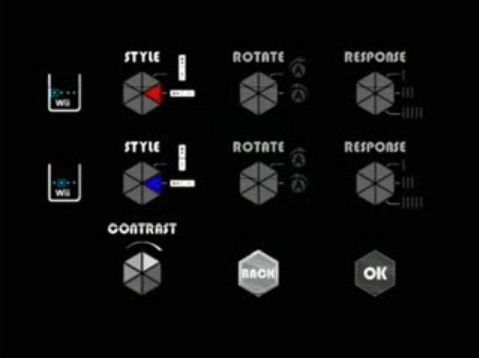 @ Starwolf_UK: Yeah, sadly it looks like there are just 3 modes or just one for the singleplayer. Hopefully the singleplayer-mode is divided at least in the solo-mode and the endless-mode, like in Dialhex. 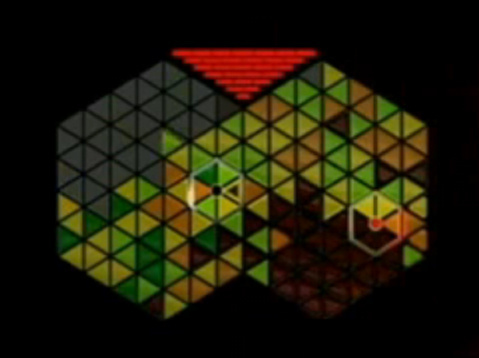 But apart of that, Dialhex had also a Versus-Mode, so actual it seems that Rotohex had no real new modes. Beat Solo Mode and you'll unlock "Sprint Mode" and get halfway through Solo Mode to unlock "Endless Mode" as well. @ Corbie: Thank you. It is nice to see that there is leastwise one new mode^^. @Tony as long as you do not have any issues with telling yellow from light green. You should get this game it is fun. NOW ALL WE NEED IS DOTSTREAM CMON! I wont be getting a DSI for a while so I do hope more WiiWare art style games are coming. I finally conquered the Solo round to unlock the sprint & staff credits of Rotohex. It took a while, but with practice it was worth it....and tiring too with the eyes looking in all directions on the screen.